During this semester we will reflect on Fr Thomas Keating’s suggestions for developing Centering Prayer. We will examine the ‘Human Condition’ and the ‘Formation of the Homemade Self’. Each session will include a period of meditation in common. Voluntary contribution at each session. Regular yoga practice can impart a number of different physical, mental and emotional benefits. The exercises tone and strengthen the body, increase circulation and oxygen flow, energize for the day and help unwind in the evening. The course is suitable for all levels and ages. Newcomers most welcome! For students who can produce simple French sentences and can ask and respond to simple French questions. In a fun, friendly, relaxed atmosphere, these classes will enable students to communicate with more fluency to feel confident in most everyday situations. “Vino bianco o vino rosso, signore?” Are you able to book a table, order a meal, ask directions and actually follow them? If you have already studied some Italian and appreciate fun and informality, then this is the class for you. 5. John of the Cross: his times and his experience of God: 15 Jan. – 12 Feb. Regular yoga practice can impart a number of different physical, mental and emotional benefits. The exercises tone and strengthen the body, increase circulation and oxygen flow, energize for the day and help unwind in the evening. The class is suitable for all levels and ages. Newcomers are most welcome! 8. From Shakespeare to Donal Ryan: 15 Jan. – 19 Feb.
John Scally 7.15 – 8.45 p.m. This series will probe the works of six major writers for their insights into contemporary life. The featured writers are Shakespeare, Charles Dickens, Jane Austen, George Eliot and John McGahern. The final session will feature an interview with Donal Ryan. Dorrie Balfe OP, Duncan Morrow, Sabine Schratz OP and others 7.15 – 8.45 p.m.
Nadia Quick 10.30 – 11.30 a.m.
Silver Swans is a ballet class for the over 55s. Dance is now considered to be one of the most beneficial ways of improving mobility, posture, co-ordination and energy levels and imparting a sense of wellbeing and fun. No previous dance experience is necessary! Immerse yourself in German language and culture in this engaging class. Topical issues, art, literature and Austrian and German traditions are explored in a fun and informative way. The conversational manner is sure to boost both your confidence and fluency. 13. Powerlessness, Human Rights and Our Responsibility: 16 Jan. – 20 Feb.
19. The Long Arm of St. Augustine 17 Jan – 21 Feb.
21. European Security and the Limits of Nationalism 17 Jan. – 21 Feb.
Bill McSweeney 7.15 – 8.45 p.m. Experience harmony of body, mind and spirit as you dance to beautiful music. Sacred dance is influenced by the classical and European folk traditions. No previous experience necessary – clear instructions are given. A warm welcome awaits all. 24. The Sign 2: 25 Jan. – 22 Feb.
We will look at four contemporary biblical methodologies: narrative, canonical, rhetorical and liberationist. Each approach has its own set of questions and criteria, leading to new interpretations. The strengths and weaknesses of each approach will be evaluated. Guided reading will be provided in the handouts. An introduction to the traditional method of Lectio Divina will round off the module. HEATHER ABRAHAMSON: BA Mod. (Hons.) Italian & French, TCD. Has many years’ experience in Adult Education. JANE BAILEY IBVM: Accredited instructor with the Irish Tai Chi Chuan Association. She has extensive experience in teaching Tai Chi to individuals and groups of all ages & abilities. DORRIE BALFE OP: worked in education in South Africa and in Pastoral Theology at All Hallows College. Main teaching subjects: Creation Theology, Biblical Studies and Feminist Theology. NATUCA CORDÓN: BA, H.Dip. in Educ. and MA in Educ. has been involved in Education and Applied Linguistics for many years. She has a keen interest in teresian themes and spirituality. MARIE HELÈNE DOLAN: BA, French & English, Brest University. Experienced French teacher, including many years in the Alliance Française, Dublin. PHIL DUNNE: MA, LGSM is an experienced tutor in English literature, who has worked with students of all ages & abilities. JUDE LAL FERNANDO: is Assistant Professor in Intercultural Theology and Interreligious Studies at the Irish School of Ecumenics and Director of the Centre for Post-Conflict Justice, TCD. BLANAID GALLAGHER OP: is an experienced teacher and pastoral worker. She facilitates Centering Prayer groups and works on a retreat team. SEAN GOAN: BA, BD, LSS is a Scripture scholar who has been involved in adult faith development for many years. He has given courses on Biblical themes and spirituality in a variety of locations around the country. He has also written commentaries on the Sunday readings for readers in Church. TERRY HENNESSY: Trained and danced with a number of International Teachers of Sacred Dance. Has a gentle experienced teaching style and brings her own love of the dance to the group. CONOR MCDONOUGH OP: MA (Cantab), STL (Fribourg), is a Dominican friar from Galway, currently teaching theology in the Dominican House of Studies, Dublin. BILL MCSWEENEY: is Research Fellow in International Peace Studies at TCD. He has published widely in the areas of politics, theology and sociology. KIERAN O’MAHONY OSA: is a Scripture scholar. At present, he is employed by the Archdiocese of Dublin, promoting biblical ministry in parishes and among those involved in ministry. His books include “What Does The Bible Say About The Stranger”, “Do We Still Need St Paul?” and “Speaking from Within: Towards Better Preaching”. DUNCAN MORROW: is Professor at Ulster University Belfast. He lectures in politics and has published widely in the fields of conflict resolution, Northern Ireland politics and the relationship between religion and politics. JOHN O’RIORDAN: BA, MA in Art History, UCD. He taught the subject for several years in the BA programme in UCD and was also a visiting lecturer on the Communications Degree course DCU. ANDREW PIERCE: has a background in historical theology and is an Assistant Professor in the Irish School of Ecumenics, TCD. He is involved in a variety of ecumenical projects – both grassroots and academic – and is particularly interested in how ideas about, and experiences of, place impact on religious self-understanding. NADIA QUICK: is a Royal Academy of Dance Silver Swans licensed teacher and a registered teacher of the RAD and a Fellow of the Imperial Society of Teachers of Dance. RUZICA RUANE: Qualified native German speaker. Many years’ experience of teaching German to adults and students. JOHN SCALLY: PhD, lectures in Theology in TCD and was a secondary school teacher for 20 years. He is the author of over 40 books. SABINE SCHRATZ OP: Dr. theol. (University of Münster), MA Medieval and Modern History, is director of Lumen. She has published in the fields of Church History and liturgical praxis and taught in third-level and adult education. MARIANNE SMULDERS: Graduate of the Irish Yoga Association, with years of experience in this field. DÁIRE STEVENSON: BA, Irish and Economics, H.Dip. UCD. Experienced Irish teacher of both children and adults. GILLIAN WYLIE: is Assistant Professor in International Peace Studies, Irish School of Ecumenics, TCD, and author of “The International Politics of Human Trafficking” (Palgrave 2016). 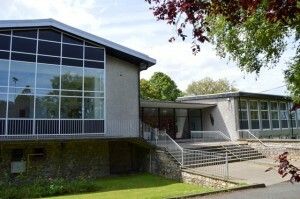 ADDRESS: Lumen ·Dominican Centre, Sion Hill Campus, Blackrock, Co. Dublin, A94 A3C7. FEES: are payable in advance as classes may be cancelled if numbers booking for them are insufficient. Booking forms and cheques, made out to Lumen Dominican Centre, may be posted to the above address. Cash is acceptable if one is registering in person. Electronic Transfers may be made to Lumen Dominican Centre; Bank of Ireland, Dun Laoghaire. REDUCTIONS: A reduction of 10% is applicable to the total if more than one course is booked in the same semester. REGISTRATION: a) Through our website www.lumenop.ie. (b) In person at the Centre on Wed, 9th, Thurs, 10th, and Fri, 11th January 2019(c) By post – at least two weeks before the classes commence. Refunds are given only if a module is cancelled by the Centre, not if one misses a class. Modules have to be booked and paid in full. It is not acceptable to pay for single classes. (A) CARS: Entrance is from Mount Merrion Avenue only: the turn for this (no gate) is on the right as you come up the avenue from Blackrock, shortly before the traffic lights at Cross Avenue. Car parking is in front and also at the side of the Centre. (a) beside the park, and (b) outside the Frascati Shopping Centre. No. 17 stops on Mount Merrion Avenue. Nos. 46A, 47 & 145 stop at Stillorgan end of Mount Merrion Ave. No. 84A stops in Blackrock. No. 114 stops at the DART Station in Blackrock. PLEASE NOTE: Mobile phones must be turned off when one is attending a class. No smoking is permitted in any part of the Centre.